Beware! GoldCapitalPro is an offshore broker! Your investment may be at risk. GoldCapitalPro is a Forex brokerage registered in both the UK and Romania. Traders are provided with the MetaTrader4 trading platform and a wide range of trading products. From the website we gather that potential clients are also extended an generous leverage of up to 1:200. The spread is fixed at 2.4 pips on EUR/USD which is quite above the industry average and not very favorable for traders. The required minimum deposit is $500 which is also quite excessive in our view. According to the website of the brokerage the company behind it has operation in both the UK and Romania by the name Everest Tech Ltd. Forex brokerages in the UK have to be licensed by the Financial Conduct Authority where as brokerages in Romania – an EU member state – fall under the regulatory oversight of the Autoritatea de Supraveghere Financiara. Going through the terms and conditions of the brokerage we find no mention of a regulatory oversight and after diligently checking on the online registries of both regulatory agencies w can safely conclude that GoCapitalFX does not fall under any regulatory oversight. The lack of regulation brings with it a whole hornets nest of troubles, most important of which is the lack of authorities to which to turn in case of fraud. 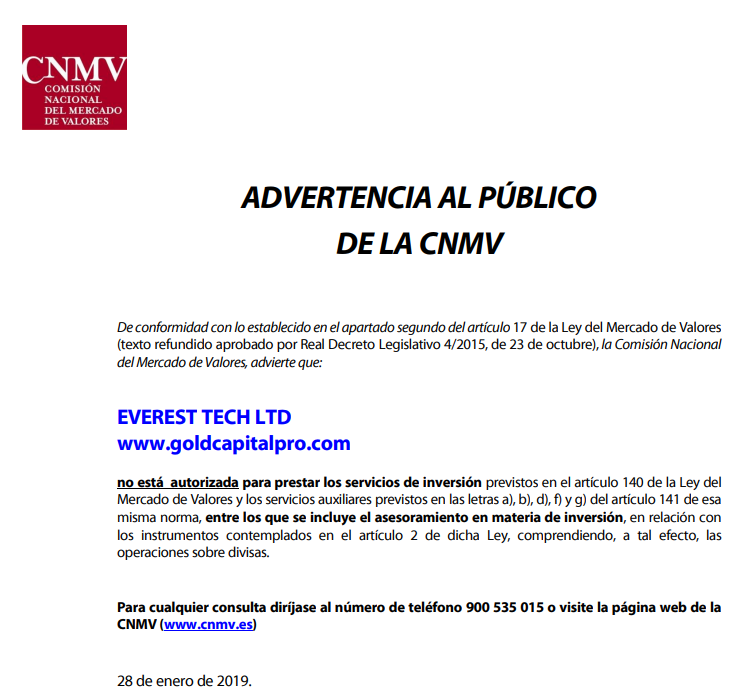 In the official warning we read that the CNMV considers the brokerage a “boiler room” which is another word for scam. Being blacklisted in Forex trading is perhaps the best guarantee that the brokerage is trouble. 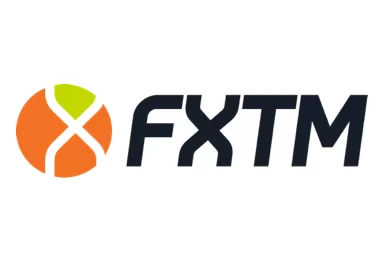 However, the brokerage does provide the MetaTrader4 trading platform which is the foremost trading terminal in Forex trading at the moment. It further states on its website that the spread on EUR/USD is fixed at 2.4 pips which is quite high. The standard for the industry is a pip and a half. The leverage extended to clients – 1:200 – is quite balanced and in no way excessive. A very high leverage hides the risk of losing more than you have initially invested. A problem we encountered with the brokerage is the lack of clarity regarding the trading conditions. 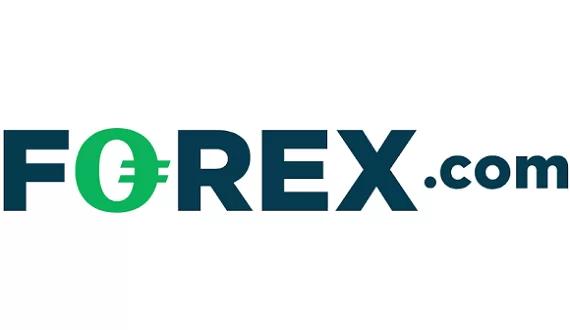 We couldn’t learn the required minimum deposit which is crucial in a Forex brokerage. The lack of adequate information, coupled with the clear lack of regulatory oversight are all warning signs for traders and reviewers alike. Such irregularities make us suspect that clients will be open to a number of risks. The brokerage openly states that there is no withdrawal fees, however, we always remind readers of all the ways a trader may test the brokerage’s intentions. Firstly, traders are advised to always put up only the required minimum deposit, instead of risking a bigger amount with no certainty. Afterwards, they may also try to withdraw a small amount in order to check for any unexpected fees or delays. Such fees and delays are usually the signs of a scammer. It is important here to take notice that both Visa and MasterCard are taking measures to combat unregulated forex brokerages by classifying all forex transactions as high risk. And with the case of Axe invest – they are correct in doing so. Furthermore, supporting their intention with clear actions – MasterCard has increased the previous time period of six months for filing a chargeback to a year and a half. Visa is expected to do the same in December.